Daffodil Design - Calgary Design and Lifestyle Blog: lily's sweet shoppe. if i could. i would sit at my desk & design pretty party decor all day long. a pool party bash! the theme... bright playful colors, lollipops, and sweets galore! 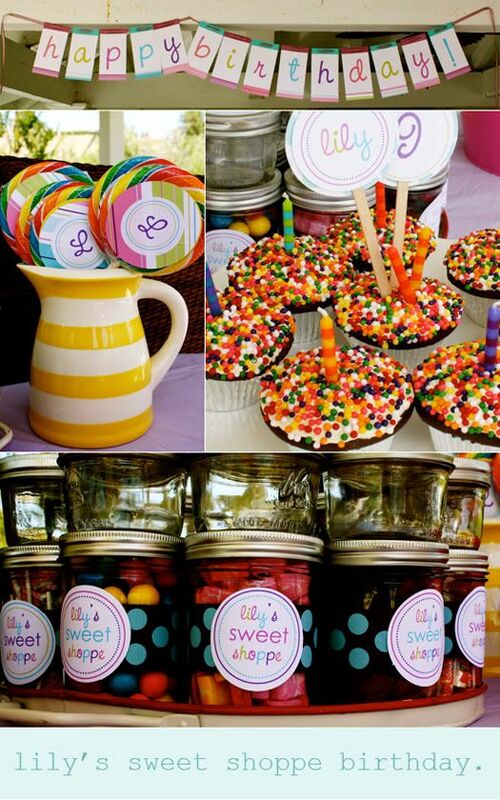 i designed the invites, a birthday banner, water bottle & candy jar stickies, & cupcake toppers! she did such a wonderful job decorating!